In the main building or in bungalows type roomThe marble shower and the cosmetic basket will make your shower enjoyable. Fantastic view across the islandWalnut furniture and leather offer a romantic total to this room. A relaxing and calm atmosphere Furniture made from the finest leathers, woolen carpets, buckrams made of wool and pure silk achieve the best result. A piece of Paradise. In that place, in one of the most famous and beautiful location "Agios Markos", situated at sea's edge of Ipsos beach, we build a newly boutique Corfu hotel. It belongs in Corfu Hotels Luxury Gold Club. Classical style will take you back to historical Greece of the 19th Century. Coupled with the latest and most up-to date comforts of the 21st Century. 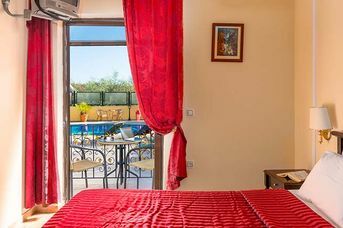 Hotel Corfu Secret is a romantic Corfu accommodation in Greece, only 13 km from Corfu Town and 600 meters away from the awarded with blue flag beach of Ipsos. 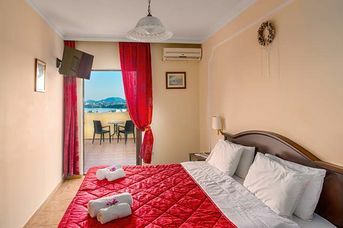 It offers a wonderful panoramic view to the entire Island, rooms and suites with all modern facilities and a prestigious atmosphere but always at a reasonable price. 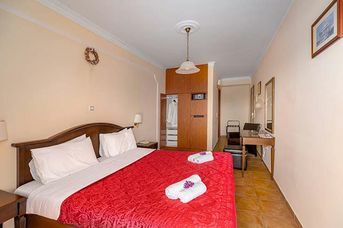 The hotel belongs in Corfu Hotels category. A small palace in Corfu! In Hotel Corfu Secret you will live your Corfu dream, what you waited all year to come, but time does not run so fast. Yes, your precious holidays. We will take care of it. You just enjoy it. 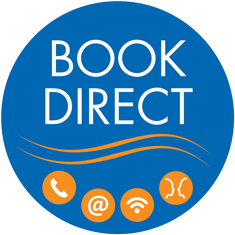 If you book directly ONLY from our official website, we give to you a Best Price Guarantee and more benefits. You save money and time. Refreshing cocktails will cheer you up and make the atmosphere even warmer. Our guest can also enjoy a snack, such as a hamburger or a club sandwich by the pool. Corfu Secret is a very beautiful boutique resort, that is located in one of the most beautiful and traditional regions of Corfu.